Posted in: Beer. Tagged: beerfest. 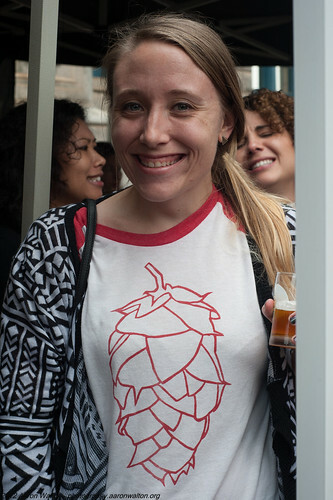 The Secret Stash Bash – A beer festival for real beer lovers. ATLANTA- On March 22, 2014 Georgia’s craft brewers will convene under the banner of the “Georgia Craft Beer Fest” to celebrate the state’s flourishing craft beer community. From old guard breweries to brand new upstarts, over 25 GA breweries have been confirmed to take part in this all day event. There will informative tours, food trucks, live music, and the best craft beer the Georgia has to offer. via Hey, Brewtiful: Georgia Craft Beer Fest to support GCBG. Posted in: Beer, Uncategorized. 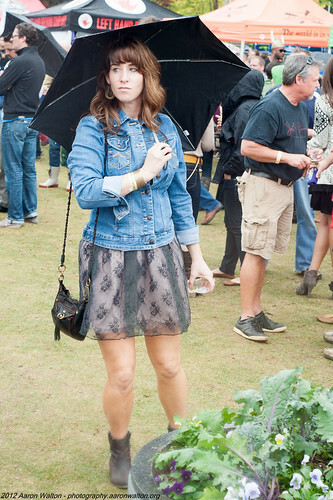 Tagged: beerfest, decatur, rain. Got up a few times in the evening, very odd dreams tonight, a group of cute women were fixing up our house which was a conglomerate of many houses I’ve lived in. Brian and Nicki were there and it was some sort of HGTV like show but no cameras. Today was the first day this fall that I had to wear a sweater. It was raining when I got up, cold and damp, mostly only a drizzle though no hard rain thank goodness. Hoping it isn’t dreary all day. Beerfest started out quite good, the trip on MARTA was slow but OK, met a couple after 5-Points that was also heading over to Decatur for it. The rain had let up by the time we got to the Fest, after entering though it began to drizzle and basically continued all afternoon. Broke out the raincoat and had it on the rest of the time. 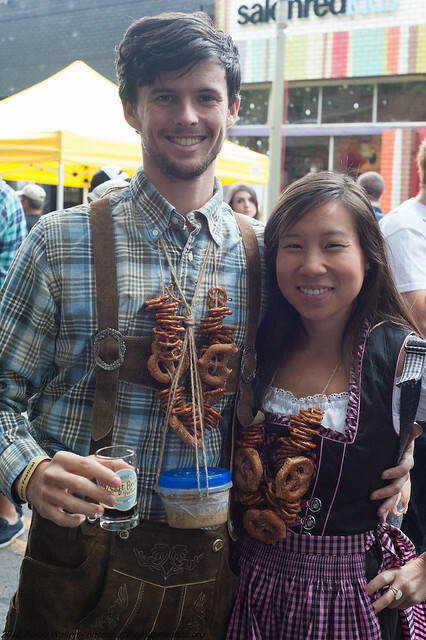 Interesting people, connected with one chick, on Untapped, cute Asian gal with her husband both in German garb. We talked with another couple early on as well, two kids and then her brother and sister both under 21, all living in Decatur. Had some really good beers, top of the list was one from Lefthand, the Milk Stout with Mint Firkin, then the newest from 3 Taverns (in Decatur) Theophan the Recluse (Imperial Stout) looking for some of these in 750ml bottles, 3Taverns is my winner @ the fest. Sierra Nevada had a Black IPA called the DeveESTATEtion in bottles that was really good as well. As we drank I kept up with the Gator game on ESPN mobile, the were behind the WHOLE game LOST 17-34? Green Bullet had a Stout I need to try to find and Stone had a really good Black IPA I think it was. 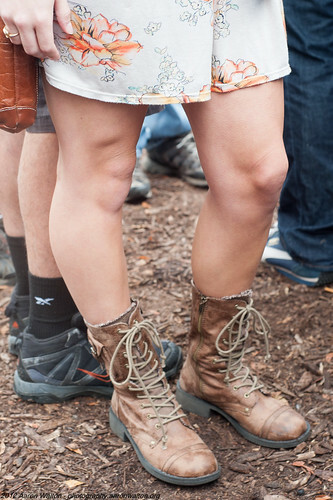 Lots of cute women in the crowd and lots of boots. Stopped in @ the Raging Burrito and had dinner before heading back on MARTA. I had the Monster Quesadilla, Chicken, mushrooms and broccoli, IT WAS HUGE! The gal behind the bar, Landon (boy’s name but a gal) was quite cute. There motto on their shirts say “Stay Calm and roll a fatty” (their borritos are really FAT see..). Ride home on MARTA was faster than the ride there. Came home and decided to spend the rest of the night in, good choice. Shamefully, I didn’t make it. Posted in: Beer. Tagged: beerfest, parma, rain, s2000, shoot, trivia. A bit cooler this morning, about 60 while driving in. Mostly sunny and I don’t see much to indicate it rained at all last night. Sunny most of the day but then at 9:30-10pm it poured for a few minutes (top down). The 9th Annual East Atlanta Beer Festival will be held in East Atlanta’s Brownwood Park and looks to be better than ever! – via East Atlanta Beer Fest. Just got my tickets today, about 9am this morning. Noticed through facebook that the tickets were on sale starting today. Went out on the greenway again today and a bit early. First thing I saw was a hummingbird but it don’t slow down a bit and flew off. A couple of butterflies, both varieties of Tiger Swallowtail, Red-Spotted Purple I think. Home after work, cooked for a change, just some mexican rice with green onions. Also cleaned more of the shelves from the fridge. Picked up some groceries from Kroger, over $100, more than almost anything this year. Another wild night at Parma Trivia, Lauren is back, she had taken a set of stairs poorly (missed that last step) and her left ankle was blown out. She did it weekend before last and on Monday it was Purple-Yellow and Black, and HUGE. She has been on crutches for about a week and had just gotten back to work today. She as limping around and was sitting with us every chance she got. We ended up winning tonight and spending the two first places we had gotten the month before, hopefully Lauren’s tip was good. Wow, our tab was about $125 and after the -60 was about $65, I think at least three of us pitched in $20 and another $30 so that was enough for the check and then Russ just added to the tip on his card. Bill got a bit angry that people were thinking about the bill and not the question which we got right but thought we only bet 15, instead Sam had raised to 16 which allowed us to win 1st. I stayed and had a beer with Lauren & Bill but Bill left almost right after, I think he was really drunk and in a bad mood for the most part. Russ’s friend and his wife were there, Hellen? as well. Saying the dude is a bit LOUD is an understatement and he just YELLS the answers without really engaging his brain first. By the end he was beginning to learn to tone it down. He’s nice just a bit overbearing and he really rubbed Bill the wrong way. Stayed out WAY too late, didn’t get to bed until after 11pm, drank one beer too many. The car also got caught in the rain, about 9:30 it must have started to rain, everyone was beginning to leave, I went to the bathroom and when I came back to the table to order up another beer I over heard Bill saying it was raining. Eeeek! ran out and put the top up but the damage was already done. I was continuing to look all evening and just when my guard was down, bam! Got to talk to Lauren a bit and I got her number to get together for a photo shoot, she seems very interested in doing some stuff artistically which is REALLY cool! Posted in: Beer. Tagged: beer, beerfest. 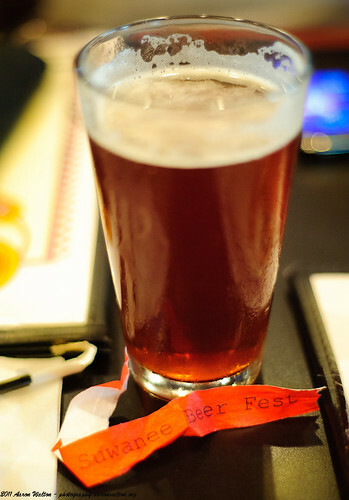 The 2nd annual Suwanee American Craft Beer Festival is scheduled to take place on Saturday, March 31st, 2012. Join us for a great afternoon of sampling over 120 beers, enjoying live music from local artists and eating great food at beautiful Town Center Park in the heart of Suwanee, Georgia. via 2012 Suwanee Beer Fest. Posted in: Beer, Photos, Uncategorized. Tagged: beerfest, birthday, family, friends, mellow mushroom, olde towne tavern. Got up and started getting ready for the beerfest today. Brian and I first headed over to the Shroom for some lunch before drinking up some beer. Lauryn, Michelle and we talked about various things and they even had a new beer, Vitory HopDevil but I wasn’t drinking today. Loaded up on water instead. After we started the drive over to Chris’s so she could drop us off at the Festival, really nice of her. The beerfest in a word was HOT, hot as hell actually. It was rather small with a really decent selection of beers but the “VIP” was nothing special at all. No water, no special beers, you got in an hour early put there was no really special swag or anything that I could see. Saw quite a few friends from Taco Mac, Adam & Trish, Casey & Mike, other Mike, other dude I can’t remember his name (balding), Charlie & Alicia, Dan & Cathy as well as a special appearance by Tracy (used to work at T-Mac Mall) who was just newly engaged and looked WAY thin. In the middle we exited and had a drink at the Shroom there at the Towne Center and then returned for a few more beers before meeting up with ChrisK at the Olde Towne Taverne for Brian’s birthday dinner. We then went back to Chris’s place and watched the Green Hornet and then came on home to Nicki and her boyfriend making ice cream. Also had a bit of a “religious” argument, she is a bit too churchy for my comfort but it it makes her happy. The creators of Atlanta Summer Beerfest, and Winter Beerfest will be bringing you the Great Atlanta Beer Festival at Turner Field. 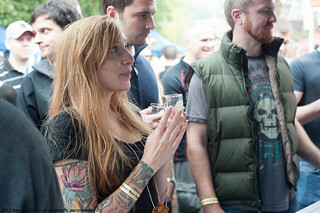 The fest falls during Atlanta Beer Week 2011. We are proud to announce that the Great Atlanta Beer Fest at Turner Field will be held on Saturday October 8th from 3-8pm. 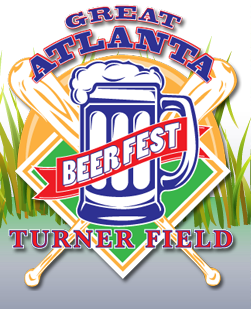 Turner Field will provide an outstanding atmosphere for what will soon be the biggest beer festival in all of Atlanta. We will feature hundreds of different beers to sample from all over America, as well as a great selection of European beers. Festival tickets will be $35 advance, $45 day of event, and they will go on sale Wednesday, August 17 at 10am. The first 500 tickets will be just $25, but they are sure to go very quickly. Tickets will be available on Ticketmaster using the Buy Tickets link on our website, or you can buy your tickets at the Turner Field box office with $0 in service fees. via Announcing The Great Atlanta Beer Fest | AtlantaBeerMaster.com. 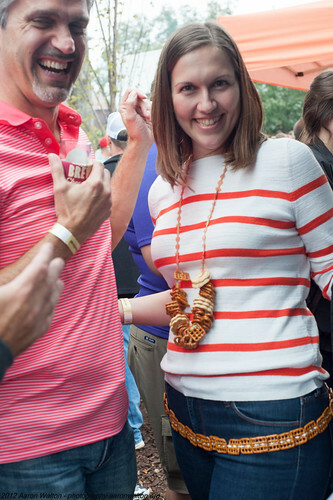 suwanee american craft beerfest is this weekend! 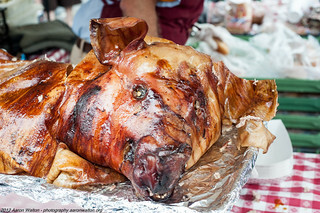 2011 Suwanee American Craft Beerfest is this weekend. Brother and I are going, then we are meeting ChrisK for Brian’s Birthday dinner. 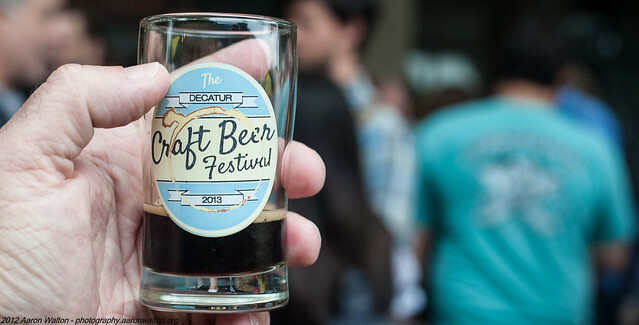 East Atlanta BeerFest is this weekend. In addition to over 200 beers, there will be some fun tech stuff for you to play with. Peak Brewing – King Crimson. Imperial Red Ale, 10% ABV. In addition, once the festival is over 100 checkins, go to the merchandise tent for a koozie. ALSO! The 1st 100 people that come by the tent with the shiny new EABF Fest badge get a Foursquare day koozie. via EABF Gets Techie & Badgy | AtlantaBeerMaster.com. It only says it is “somewhere in the East Atlanta Village”. OK, time to make a pilgrimage! 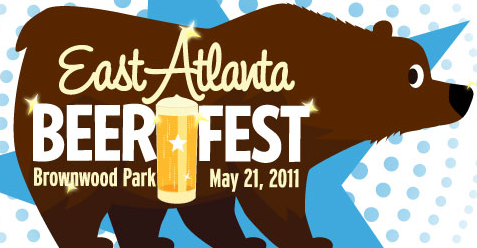 Also, the logo looks a bunch like the one for the East Atlanta Beer Fest, EABF? a coincidence?